Directions: In a large bowl, cream butter and sugar until fluffy. Add eggs, one at a time, beating well after each addition. Beat in vanilla, butter flavoring and food coloring if desired. Combine flour, cocoa and baking soda. Combine buttermilk and vinegar. Add flour mixture alternately with buttermilk mixture to creamed mixture. 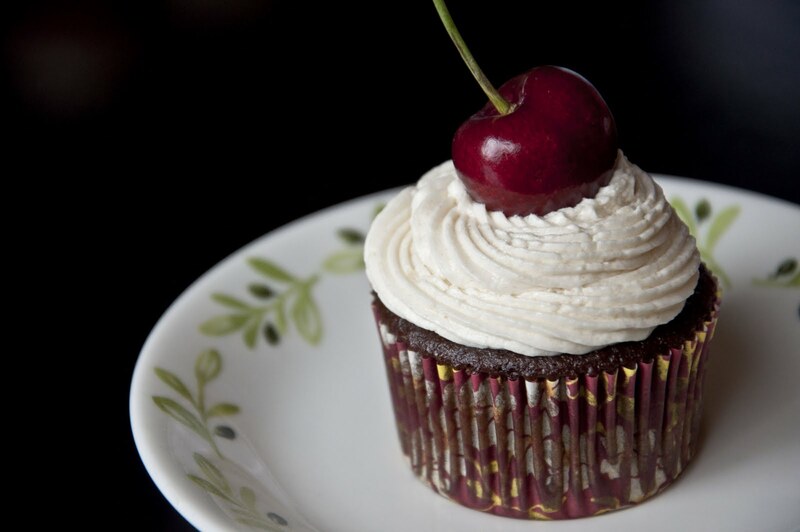 Pour into a paper-lined cupcake tin, 3/4 full. 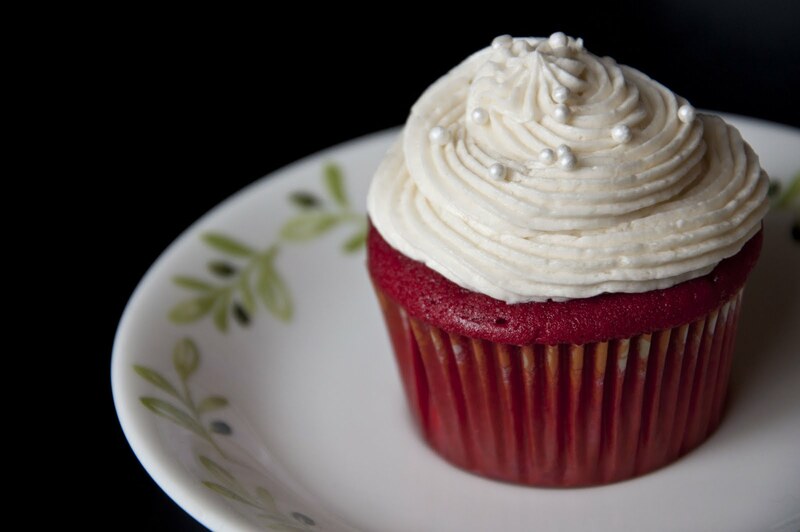 Bake at 350° for 15-20 minutes or until a toothpick inserted near the center comes out clean. Cool in pans for 10 minutes before removing to wire racks to cool completely. For frosting, whisk together milk and flour in a saucepan. Cook, over medium heat stirring constantly, for 5 minutes or until thick. Cover and cool. In a bowl, cream butter. Gradually add sugar; mix well. Gradually add cooled milk mixture and beat 4 minutes or until light and fluffy. Add vanilla and butter flavoring; beat well. Frost cooled cupcakes. Chocolate cupcakes can be found 'In The Kitchen' titled 'Moist Chocolate Cupcakes.' 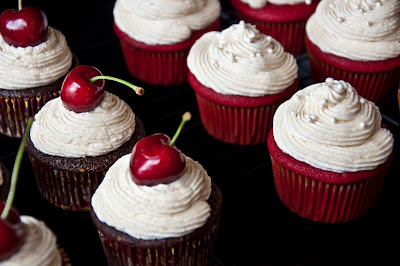 Frosting for the cherry topped chocolate cupcakes is the same as the red velvet frosting.